The normal view displays the UI as it is generally intended to be used, with all controls and tabs readily available. 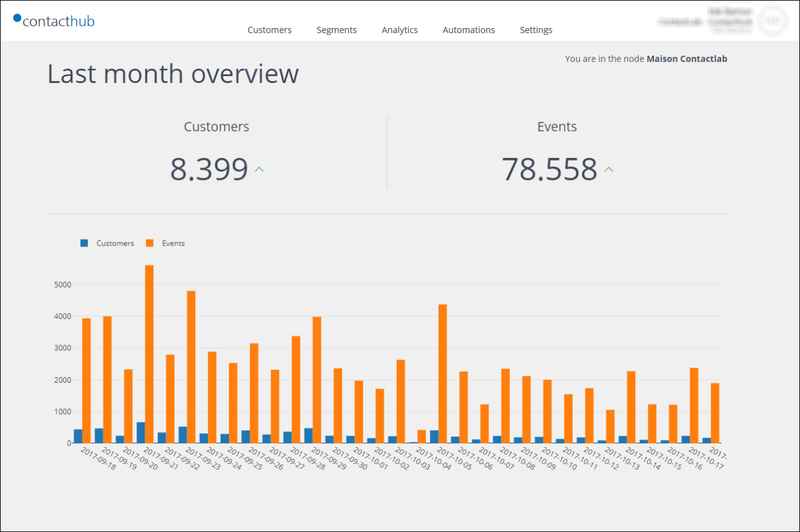 The Customers, Analytics, Automations and Settings tabs. Click the appropriate tab to navigate to the required management page. Displays the name of the current user and the workspace that is being used. Click the panel to display the Settings and Sign out buttons. Select a different workspace, if available for your account. Change the UI display language. Click the Sign out button to end the current session. Selected using the tabs on the Control bar. When the browser window is not wide enough for the UI normal view, the UI compact view displays.